The kick-off event for the 2006-2007 Children of Abraham Peace Essay Contest was held on November 12th in the McShain Lounge of Georgetown University. 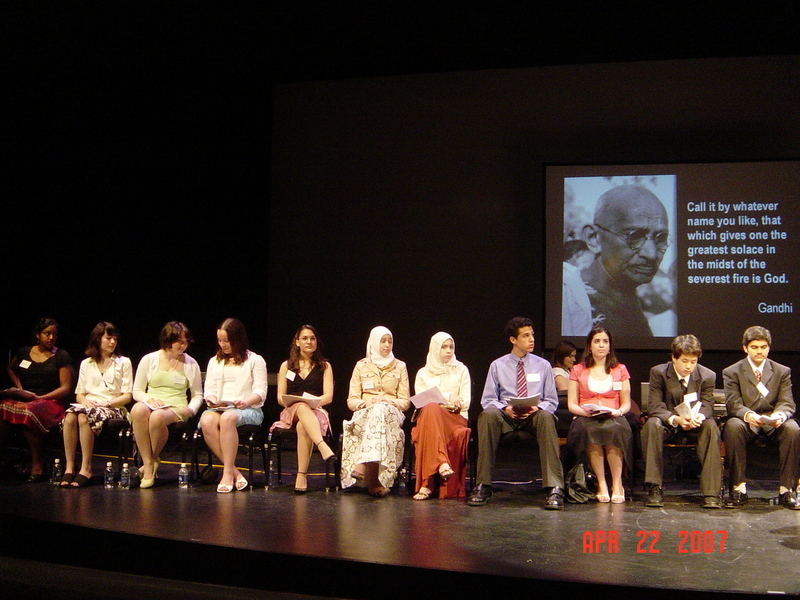 The theme was “A New Leadership Model Inspired by Moses, Jesus, and Mohammad.” In addition to presentations by scholars and clergy, winners of the 2005-2006 essay contest engaged in a panel discussion. Essays were submitted by students from many ethnic groups, religions, and cultural backgrounds. Awardees were honored at the April awards ceremony held at Georgetown University, at which essayists had an opportunity to address the gathering and present a summary of their work. Also, the first Teacher’s Award for Peace Advocacy was presented to Lansing Freeman of Montgomery Blair High School, who had mentored many of the contest winners. Several of the winners of the previous year’s contest were on hand to present a moving testimony to the ways in which their participation in the essay contest had influenced their lives. A reception followed. Part 1: How did Moses, Jesus, and Muhammad model leadership for peace through their lives and teachings? Part 2: Choose a community or an area of conflict, and describe how the example of Moses, Jesus, and Muhammad would help you promote peaceful coexistence.